Prevent & Treat Hair Loss Scientifically With Follixin. Unlike messy creams that have difficulty penetrating the scalp and stimulating growth below the epidermis of your scalp, Follixin works from the inside out. Opening the aperture of your hair follicles and thickening the sheath of each hair to strengthen your hair and revitalize areas of your scalp that have become dormant. Healthy hair follicles are also fortified within the corium of your scalp. Moving forward is easy for your hair with Follixin leading the way. In clinical trials and commercial use Follixin has proven to be an effective remedy for hair loss and a valuable hair recovery agent. Using a two-pronged approach, Follixin strengthens existing hair at the root and shaft while also stimulating decaying follicles to begin growing new hairs once again. The combination of newly restored hair and preservation of existing gains is what allows Follixin to maximize hair growth in a short period of time while also maintaining hair growth. 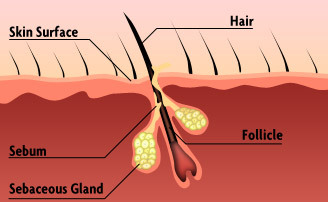 The average person has more than 100,000 hair follicles on their scalp but no new follicles are formed after birth. 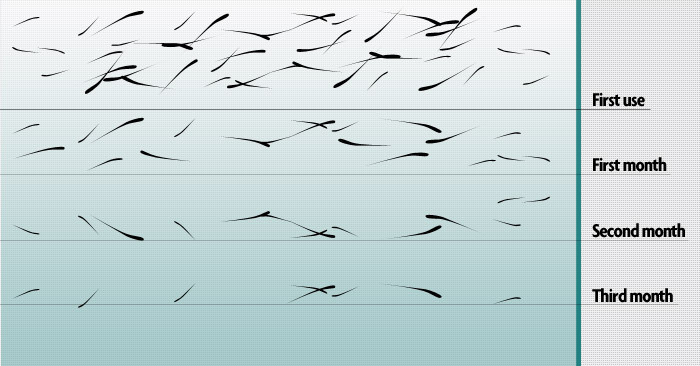 Most people lose between 50 and 100 hairs each day but a consistent loss of more than 150 hairs is significant hair loss. Follixin widens the hair follicles, strengthens the hair roots and thickens the sheath of each hair follicle to restore previously lost hair and protect each existing hair internally.